After all Kona Pro slots have been finalized (including all rolldowns for the August slots), here is the preliminary start list for Kona 2018. I will update this list if any more slots are declined or athletes announce that they won’t start. 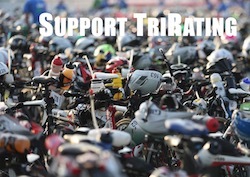 I will also update the list once Ironman assigns bib numbers. For now the lists are sorted in alphabetical order. 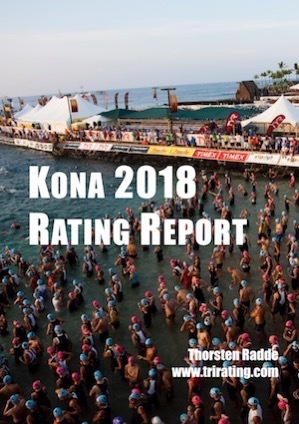 I am going to provide a lot more details on the race and the participants in my free “Kona Rating Report” which you can already pre-order at https://gum.co/Kona2018 (donations welcome). Update Oct 4th: Ben Hoffman won’t be racing. Update Oct 3rd: The official bib numbers have been released by Ironman and the tables below have been updated. Update Oct 2nd: Boris Stein has announced his withdrawal. Update Sept 30th: Mel Hauschild won’t be able to race. Update Sept 27th: Terenzo Bozzone was forced to withdraw. Update Sept 25th: Annabel Luxford has posted that she won’t be able to race (details in “Injury List” at the bottom). Update Sept 22nd: Angela Naeth is a late addition after the results from IM Netherlands have been updated (details in my IM Netherlands results post). Update Sept 12th: Jan Frodeno announced he won’t be racing Kona this year (details in “Injury List” section below). Update Aug 23rd: Matt Russell has accepted a wild-card entry. In early July, Terenzo Bozzone was in an accident and severely injured. He’s had surgery to repair a broken cheekbone and by early August is slowly easing back into training. He has accepted his July slot, and he has posted on his Instagram feed that he’s working hard to be on the Kona start line. Unfortunately, Terenzo announced on September 27th in an Instagram post that he won’t be able to race because his body “isn’t quite ready to compete at the level necessary and a level that would reflect the respect I have for the event and the competitors”. On September 12th, Jan Frodeno announced on Instagram that he’s suffered a stress fracture in his hip and won’t be able to race Kona this year. On September 23rd Helle Frederiksen posted on Instagram that she’s struggling with an inflammation in her left foot and hasn’t been able to run for two weeks. She still has three weeks and will travel to Kona, hoping to be able to start the race and go for a podium finish. On September 25th Annabel Luxford posted on Instagram that she won’t be racing Kona after struggling with respiratory infections and asthma for six months. On September 30th Mel Hauschildt posted on Instagram that she will need surgery on her right leg for Endofibrosis and is out of Kona. On October 2nd Boris Stein posted that his body needs some more time after his accident in Nice to make it pain-free and in good shape to the starting line and that he will fly back home to Germany after his training camp in Texas. When the bib list was released by Ironman on October 3rd, Nick Kastelein was missing from the list even though qualified. Apparently he is still dealing with the running injury that also kept him from racing at the 70.3 World Championships. On October 4th Ben Hoffman announced in an Instagram post that he has suffered a sacral stress fracture and won’t be racing Kona.